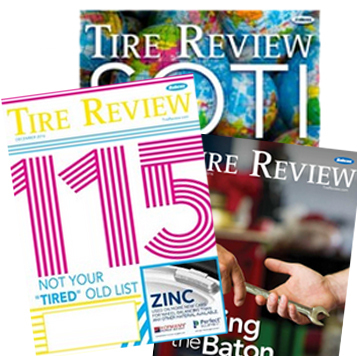 Longtime Tire Review Editor Jim Smith devoted his life to the tire and automotive industry and the people who worked in it. After nearly 30 years in the industry, Jim was honored for his dedication to independent tire dealers with the Ed Wagner Leadership Award during the 2014 Tire Industry Honors event in Las Vegas. The honor was not only a way for the industry to thank Jim for his contributions, but also a way for Jim to thank the industry and give his sincere appreciation to those he’s worked with. This was his acceptance speech. Jim’s Acceptance Speech from Babcox Media, Inc. on Vimeo.